Cool review...btw, your eyes are really pretty! You're welcome! 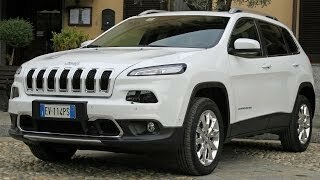 I just subscribed...Your video help me with my choice... My parents just bought (tonight) a JEEP CHEROKEE :) I was able to help them. Thanks! thank you and join us for more reviews! 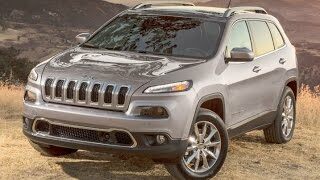 Grand Cherokee is a beast but this is ugliest car i have ever seen. 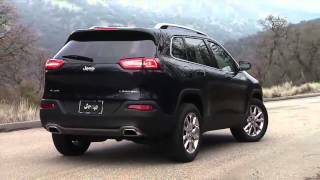 I love my new 2016 Jeep Cherokee Latitude !! As far as looks go it is awesome (Y) Especially the front end , it looks mean ! When that bird made it's 2nd appearance, I was sold. 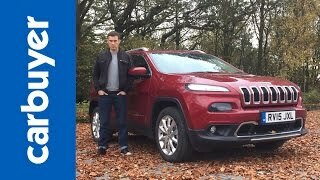 With the Cherokee I have difficulties to put a finger on the design. Seeing it on pictures or in videos you cannot associate it a Jeep. Seeing it on the street and standing near it this impression is totally different. Yeah, it is a Jeep and somehow it fits into the family. 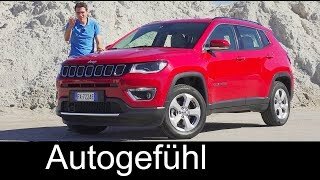 You have the Renegade, which is a fun car to drive, for younger people who don´t go mainstream with a Golf or similar, then the Cherokee for kids transporting mummies who normally would opt for the dead boring VW or the XC60 and then you have the GC which leaves a nice footprint in the premium class as one of the last remaining real SUVs. Btw. 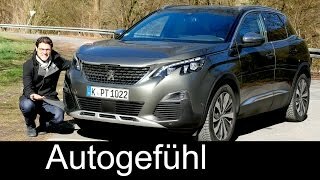 meine lieben Autogefühl people. As always great presentation - keep on going. But still, this German accent is still there. Never mind. 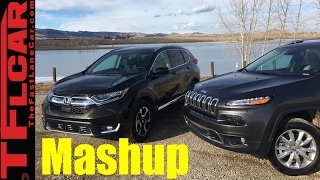 my wife just got one of these...it is awesome....too many features for me to list....way more for your money than the Chevy, Ford, Nissan and Toyota's....plus it;'s a Jeep with 4X4....what more could you want? 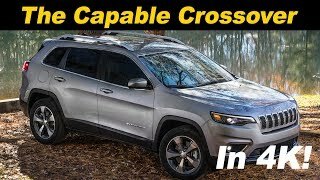 how does the cherokee hold up after 2 months later? I heard the 2016 cherokee have transmission problems, is that true? Nothing in the segment compares. It's the only one with a V6 and true 4x4 plus towing. Interior is awesome. 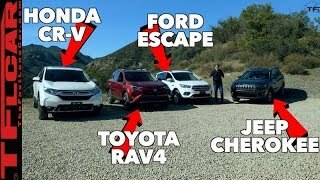 Better than RAV4 and Ford Escape. +Vitalii Gladun Thx for supporting us! We will try but we cannot promise it because we are very busy. However, we do our best! It looks wrong from every angle. Glad someone took a chance and questioned what headlights and front ends "have to" look like. Taking that chance paid off for Jeep, apparently. Enough people like It that it sells better now (even with the "polarizing" looks) than the Grand Cherokee. Of course price and mileage would have something to do with it as well. Ich check das Kanalkonzept einfach nicht - deutscher Kanalname, deutscher "Presenter", aber dann dieses seltsame Englisch, bei dem jeder 100 Meter gegen den Wind hört, dass er Deutscher ist? Warum nicht einfach auf deutsch? Wegen der Reichweite des Kanals? Unsere Website für ausführliche Hintergrundinformationen machen wir auf Deutsch.Die Videos laufen über YouTube und erreichen ein internationales Publikum, sehr viele Zuschauer aus USA, Deutschland, Großbritannien, Japan, Russland und weitere aus über 100 Ländern der Welt. Darum sind die meisten unserer Videos auf Englisch. 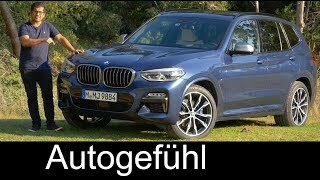 Die meisten deutschen Videozuschauer verstehen auch Englisch, aber fast alle anderen verstehen kein Deutsch. 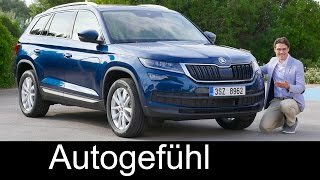 Insofern ist es nur logisch, die Videos auf Englisch anzubieten, was auch sehr gut ankommt.Wir würden uns freuen, wenn du auf Deutsch unsere Text-Berichterstattung verfolgst und auch hier unsere englischen Videos. Again, good review Thomas. I kinda like this American(!) SUV. Seems like a good size for a typical European family and is still nimble enough around town. The acceleration is decent and the diesel doesn't seem too rough. And good that FCA seem to have sorted the quirks with the gearbox out. This drive train will be available on Guilietta 2016. Design could be strange or even ugly for some people but I actually very like it. I bought it in the Billet silver with black trim and chrome accents :) It is gorgeous ! Yeah just got it in black v6 trailhawk! Test drove the 2014 here in Canada when it came out, it was 2.4L petrol, and I felt that it was very weak for the weight. It could barely move from 0 Km. 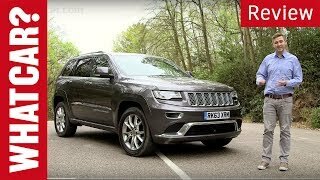 But then I test drove the Trailhawk version V6 petrol and seemed a completely different experience, it had very good energy for the weight and liked the way it handled and drove. So I think the V4 petrol is a bad idea for this model. 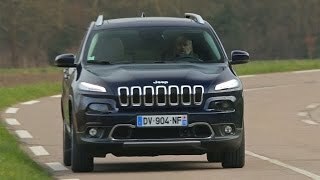 As for the look, the Trailhawk model looks the best (same for the Renegade) because of the contrasts with some bold front plastic bumper that break a little bit the dull front. Too bad they had bad reputation with the 9 speed transmission programming, same with the Renegade. And I hope the reliability will improve. 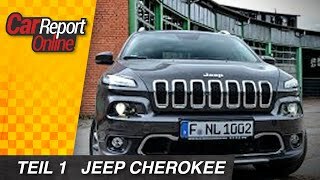 I think here in North America, the Grand Cherokee has the most descent reliability reputation compared the other Jeep models. +kallasnikov thanks for the feedback! Not sure why you would need an adapter, 230V should be close enough and the two round prong style will fit, unless whatever you're plugging in absolutely has to be grounded. Something I'm missing? I like how the car looks. Yes it loses some of that traditional Jeep styling, but I wouldn't hold that against it. All newer cars are getting revamped into modern designs / style. I didn't watch the entire video skimmed through it, did you talk about the technology group package and its driving aids? they are truly nice. I still like the analog dials. +Miles Cartwright the 9 speed auto transmission ? You're an idiot. Plus that almost sounds racist. Stretched leather in a brand new car. Yeah, thanks. +Autogefühl Fake leather does that too. I prefer fabric seats. +ast5515 that's how genuine leather is! Don't like the front facia, mainly the headlights. VERY surprised the front passenger seat isn't electric... Apart from that it isn't bad. Great video as always, Thomas! +Autogefühl Ah, cool feature, though I've never really needed to do something like that. I guess I'm waiting for that day? Great review as always, Thomas. I run into many in Amreica that just can't accept the Cherokee as a true Jeep. 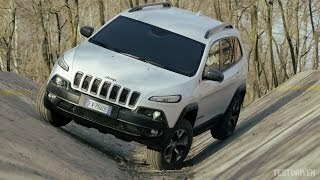 Off road abilities are limited, it has a transverse engine (front wheel drive) versus the longitudinal engine (rear wheel drive) of the Grand Cherokee, Fiat underpinnings, unusual headlights, touch points that are cheapened, the 9 speed automatic and so on. So I say if you have the extra money, get the GC. 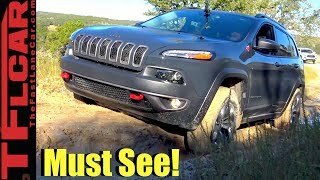 If not, therre is a lot to like in the Cherokee. +gbriank1 thanks for the feedback, interesting! 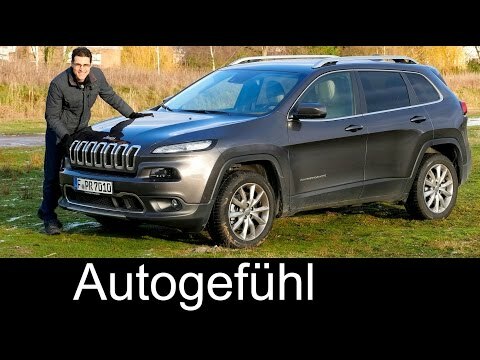 Hi Thomas, I suggest you wait with the Grand Cherokee review until its refresh this year. As for this car, as an ex owher of the real Cherokee (XJ) and owner of GC, i never consider bying this abomination. I was a classic Jeep fan but this new design vision they have is very different from the classic Jeep looks. A bit too futuristic for the Jeep brand in my opinion. 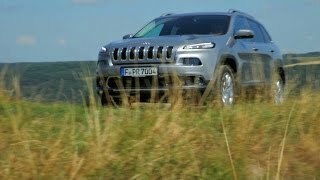 2019 Jeep Cherokee First Drive Review - in 4K! 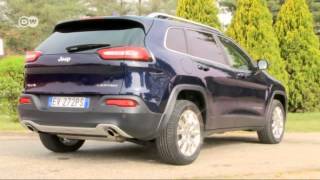 2014 Jeep Grand Cherokee review - What Car? 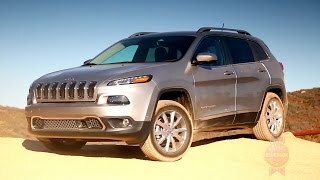 Would We Buy a 2014 Jeep Cherokee Again?